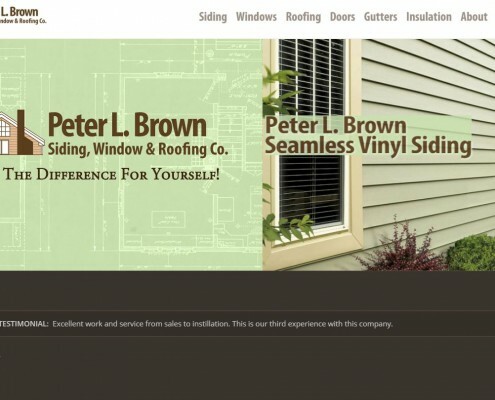 Peter L. Brown is a is an aluminum siding and window business which was started in 1960. It has been built up into the company it is today by focusing on hard work and by being dedicated to its customers. 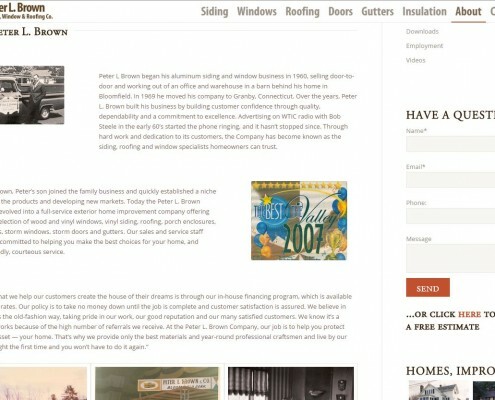 For them we focused on showcasing their expertise with a site that was more aesthetically pleasing and SEO friendly. 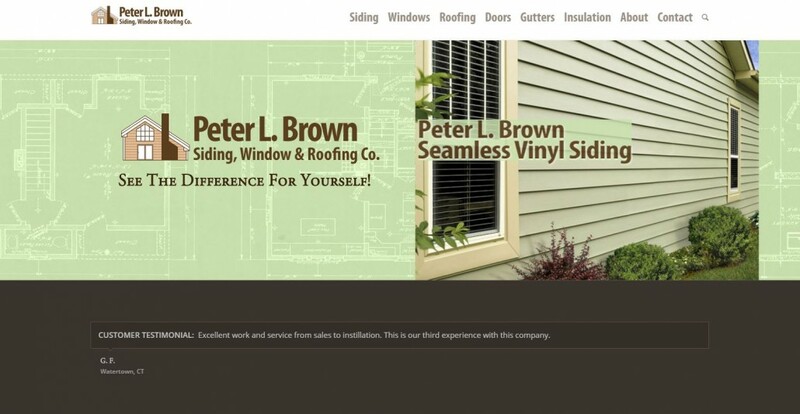 Peter L. Brown was referred to us by one of our long time clients. We found that their site was out of date and was failing to produce solid organic SEO rankings. 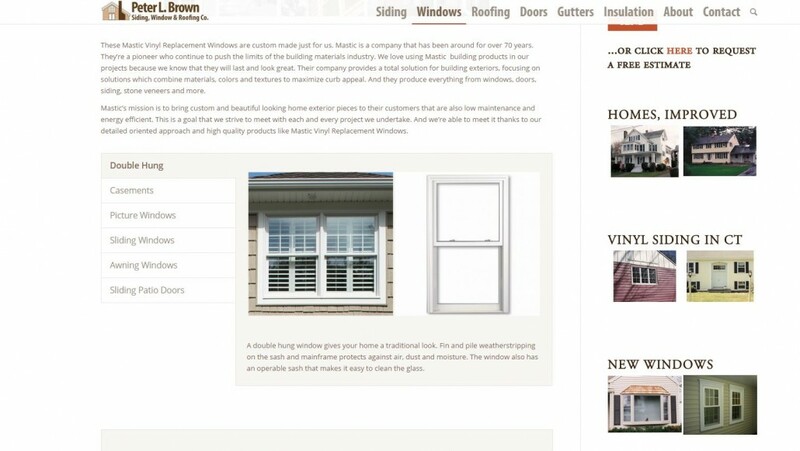 Their site was also low on copy since it primarily linked to manufacturers for most of its content. 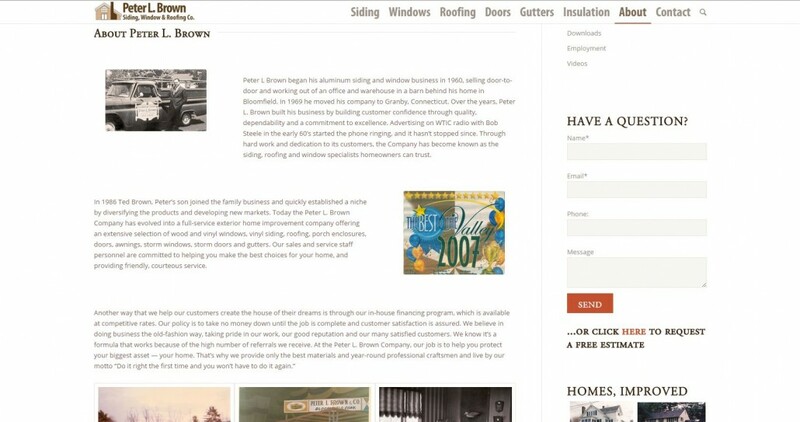 We knew that we wanted to create a platform that would attract more business while also doing a better job of showing off Peter L. Brown’s skilled workmanship. 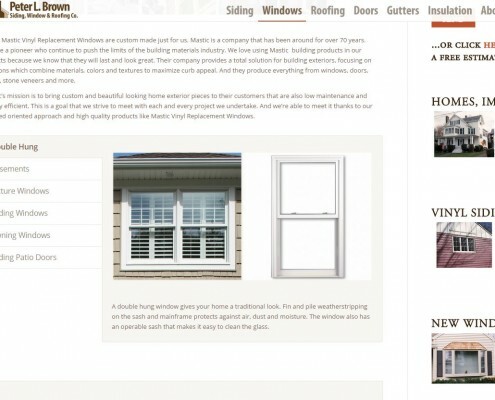 From a 10 page website, we were able to create a 40 page website, complete with responsive galleries, conversion focused content and an optimized URL architecture to provide a great platform for consistent SEO services.